The tax bill passed by both chambers this week gets rid of the individual mandate by eliminating the penalty for not having coverage. The original Senate legislation contained this provision, which takes effect in 2019, but the House bill didn't. Shedding the mandate allows Republicans to claim at least a partial victory in their years-long vow to repeal the landmark Affordable Care Act. However, it's also likely to destabilize the individual market, leading to higher premiums and more uninsured Americans. Still, many experts feel that removal of the mandate will cause the individual market to tilt even more towards sicker and older consumers. That's because the mandate serves as a stick to prod some younger and healthier Americans to sign up for coverage. 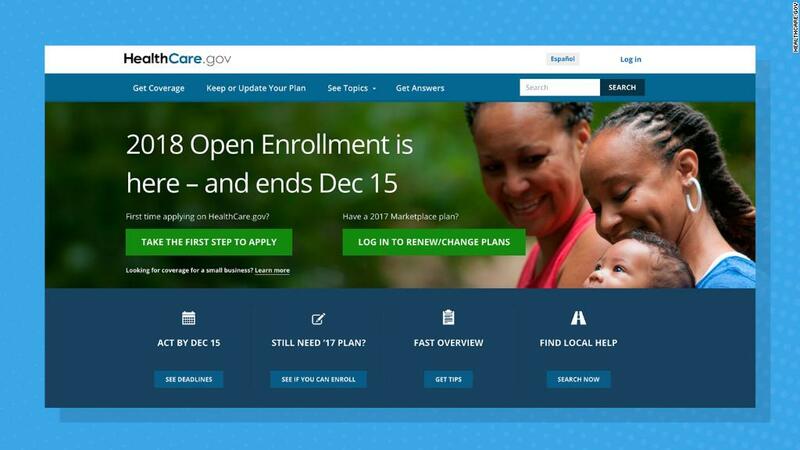 If a wave of insurers exit Obamacare, some consumers could be left without any providers on their exchanges in 2019. Already, 29% of current enrollees on the federal exchange have only one option in 2018, according to federal data. Residents in eight states -- Alaska, Delaware, Iowa, Mississippi, Nebraska, Oklahoma, South Carolina and Wyoming -- have only one insurer next year. The American Academy of Actuaries said the mandate is an "integral component" of the Affordable Care Act. "The mandate helps encourage the young and healthy, as well as the old and sick, to obtain coverage, thus achieving the balanced risk pool required to keep premiums affordable and stable," the academy wrote to House and Senate committee leaders. "Insurers would likely reconsider their future participation in the market. This could lead to severe market disruption and loss of coverage among individual market enrollees." A coalition of physician, hospital and health insurance industry associations last month called on Congress to keep the provision in place. The group, including the American Medical Association, the American Hospital Association, America's Health Insurance Plans and the BlueCross BlueShield Association, warned the Republican and Democratic leaders of the House and Senate that there would be "serious consequences" if Congress simply repeals the mandate while leaving Obamacare's other regulations in effect. "Repealing the individual mandate without a workable alternative will reduce enrollment, further destabilizing an already fragile individual and small group health insurance market on which more than 10 million Americans rely," the coalition wrote. "Eliminating the individual mandate by itself likely will result in a significant increase in premiums, which would in turn substantially increase the number of uninsured Americans." The penalty for not having health coverage in 2017 is $695 per adult and $347.50 per child, or 2.5% of one's household income, whichever is greater. Some four million taxpayers paid the penalty in 2016. Updated: This article was updated to reflect passage of the tax bill.